The US figure skating team at the world championships has apologized to injured South Korean skater Lim Eun-soo following a controversial incident involving her American rival. 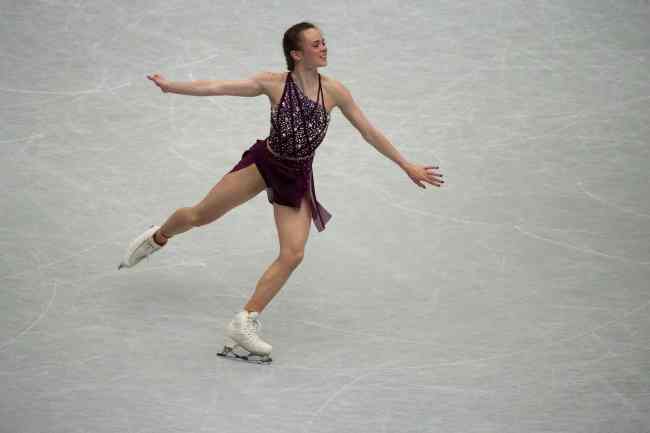 The Korea Skating Union said the US delegation insisted on Thursday that Mariah Bell didn't intend to hurt Lim when they collided during a warmup before Wednesday's short program at the International Skating Union World Figure Skating Championships in Saitama, Japan. Lim's management agency, All That Sports, earlier accused Bell of deliberately slashing Lim's calf with her skate blade and causing a gash. The agency also asked the KSU to file a formal complaint to the ISU on Lim's behalf. All That Sports claimed that Bell had been bullying Lim for months and launched a verbal tirade on the 16-year-old South Korean just before the worlds. Lim and Bell train under the same coach, Rafael Arutyunyan, in Los Angeles. The KSU said a formal grievance requires sufficient evidence to prove intent on Bell's part and it has been trying to collect video footage of the incident and gather testimony from witnesses. The ISU called a meeting with South Korean and US representatives Thursday. According to the KSU, the American officials apologized for the incident and Lim accepted it. The US team said Bell missed an opportunity to apologize to Lim on the ice because music started playing through the PA system. The KSU said Lim and Bell will meet following the end of their free skate on Friday. In a statement, the ISU said there was "no evidence" that Bell intended to injure Lim. "The incident was verbally reported to the ISU by the Korean team leader. However, no formal complaint has been received," the statement read. "Based on the evidence at hand at this point in time, which includes a video, there is no evidence that Ms. Bell intended any harm to Ms. Lim." The ISU said it urged the South Korean and the US teams "to find an amicable solution" and added, "The ISU maintains that this remains the appropriate approach."